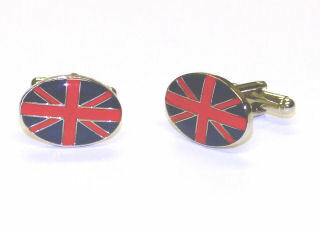 This pair of cufflinks have a Union Jack depicted on an rectangular face. For those proud to be British, they are a 'must have' accessory to be worn with any formal shirt! They include a small presentation box for convenient storage.